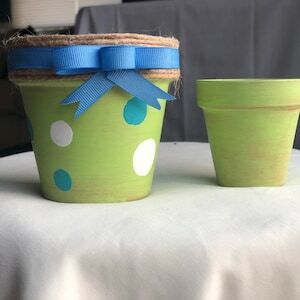 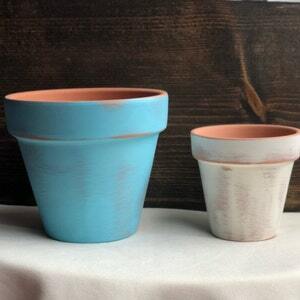 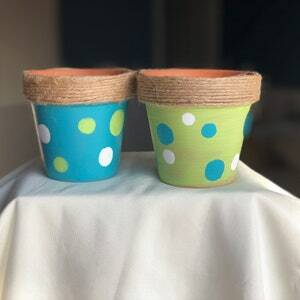 This hand painted terra-cotta pot adds character to any garden, window pane or table. 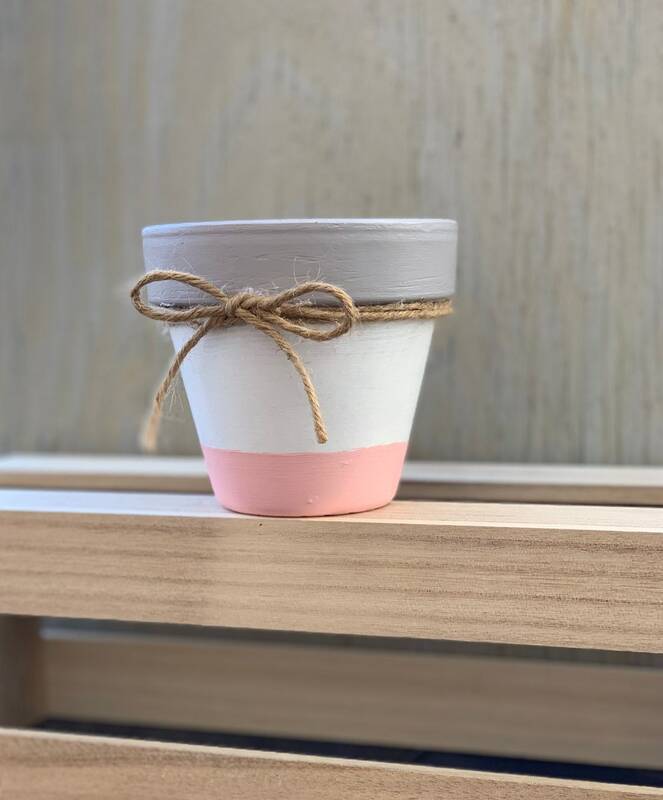 Wherever it is placed, you'll be sure to love it. 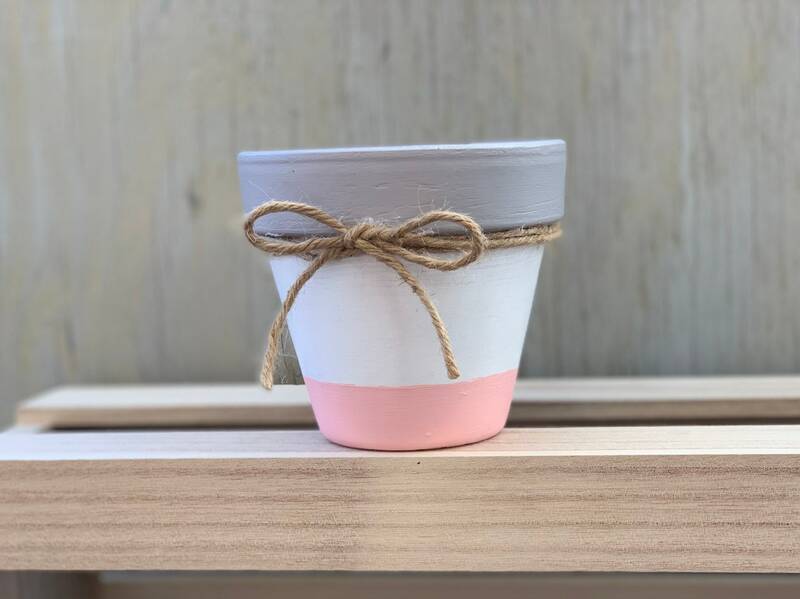 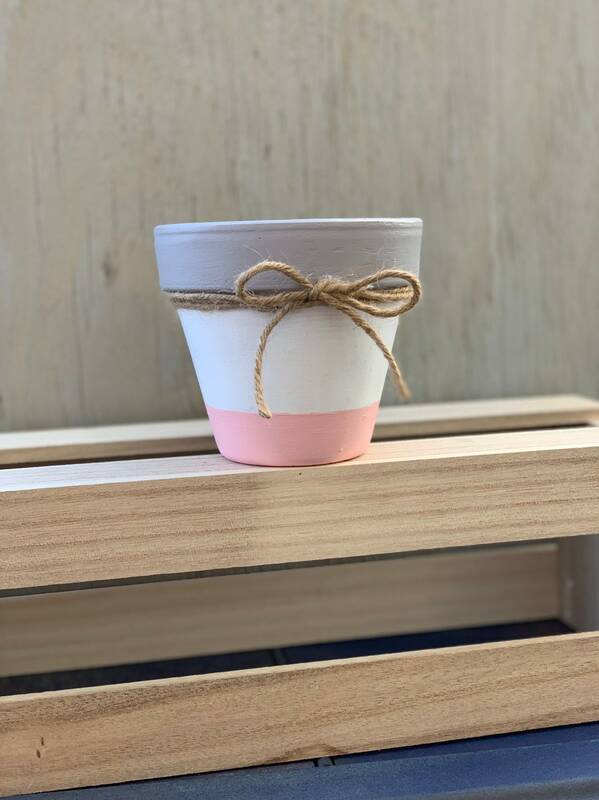 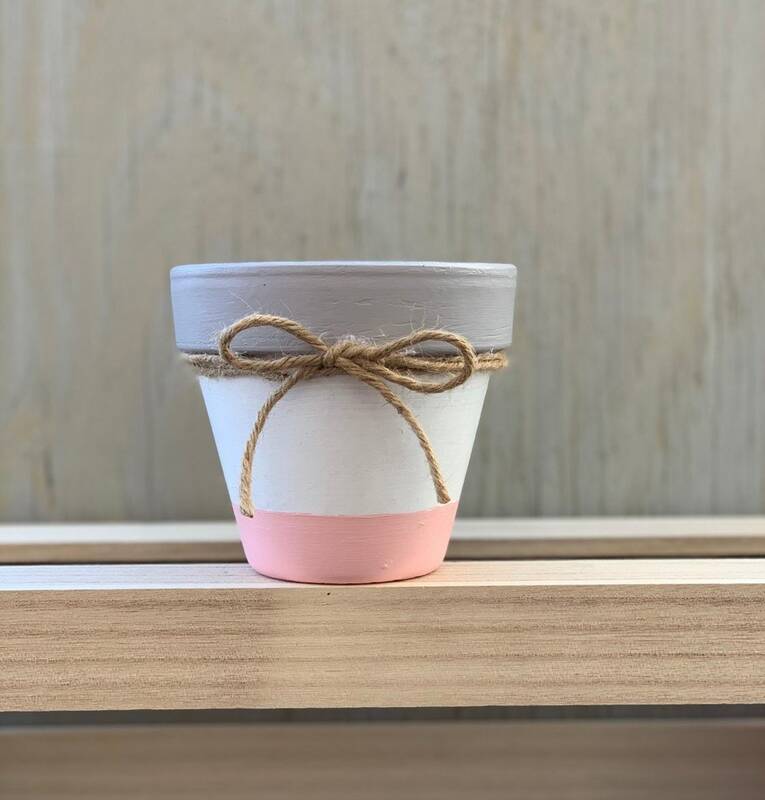 The terra-cotta pot has been painted white with a gray striped rim and pink striped bottom. 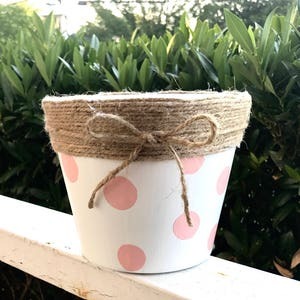 The top of the pot has been accentuated with jute twine and tied into a bow.